Monaco residents pay no income tax. The only exceptions are French nationals who became residents of Monaco after January 1957 and must pay tax in France. Monaco residents are not subject to capital gains tax or wealth tax. There is no direct tax on businesses unless they generate more than 25% of their turnover outside Monaco or earn revenues from patents or literary/artistic property rights. In these cases, a tax representing 33.33 % of profits is levied. Inheritance and transfer tax are levied on assets in Monaco but not elsewhere. No tax is due if Monaco-based assets are bequeathed to the children or spouse of the deceased person. The number and value of transactions in Monaco’s real estate market are continuing their upward curve and demand for property is increasing. Ultra high net worth individuals are driving the demand, which greatly exceeds supply. 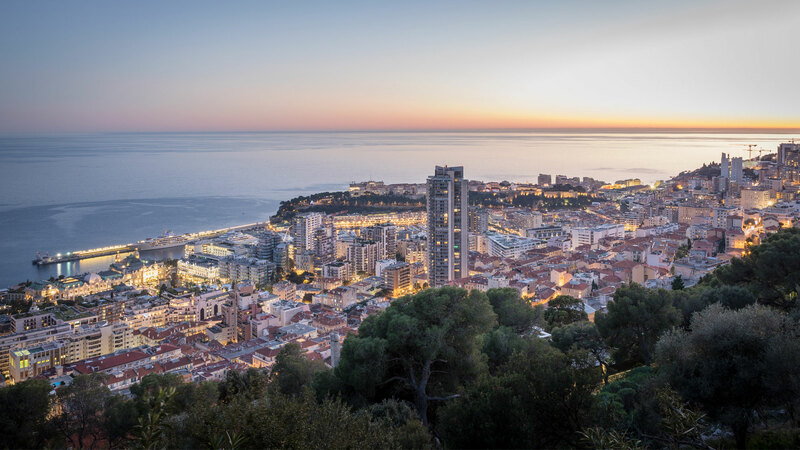 For these reasons, it is highly unlikely that property in Monaco’s competitive market will ever be subject to the dramatic declines in value observed in many other countries. In addition, fluctuating interest rates barely affect the market, as most property transactions in Monaco take place without bank loans. Anyone can buy a property in Monaco, regardless of nationality. In fact, owning or renting property in the Principality is key to obtaining a resident’s permit. Miells & Partners has long established its credibility and expertise on the Monaco real estate market. We can advise you on the locations that best suit your needs, identify the best market opportunities and organise visits. When you’ve decided on the property that’s right for you, we will accompany you through the buying process and put you in touch with one of Monaco’s three notaries. A notary is a public officer who acts on behalf of the State and authenticates documents with his/her seal and signature. Transactions in Monaco must be authenticated by a notary based in the Principality. Exceptional circumstances aside, purchase negotiations in Monaco begin with a detailed offer to purchase, drawn up by the real estate agent. This offer letter includes a description of the property, the price offered and the terms and timing of the acquisition. It also states how much the buyer will pay in notary legal fees (6% of the sale price) and commission to the agent. Real estate agencies that are members of Monaco’s real estate chamber (Chambre Immobilière Monégasque) receive 3% of the sales price. The buyer will pay VAT of 20% on this 3% fee. The offer is supported by a deposit, which usually represents 10% of the sale price. The deposit is only collected by the notary when (and if) the offer is accepted. It is made by a single cheque from a bank in the Principality of Monaco or a bank transfer when the offer is accepted. When the seller countersigns the offer letter, he/she is bound to the terms stated, including a period of exclusivity. The terms and conditions to be included in the sales agreement are discussed with the notary and a completion date for the sale will be fixed. Any conditions that may allow the buyer to withdraw from the sale if they are not met within a certain timeframe are also described in the agreement. The sales agreement is officially executed before the notary. At this point, the balance of the transaction is paid, as well as notary fees, stamp duty and agency commission. When the deed of sale (acte de vente) is signed, the notary will transfer the funds and register the new owner at the registry of deeds. The deed of sale is legal proof of the sale and transfer of the property to the buyer from the seller. In other words, it establishes ownership of the property. If you are considering making a real estate investment in Monaco, please contact Miells & Partners.